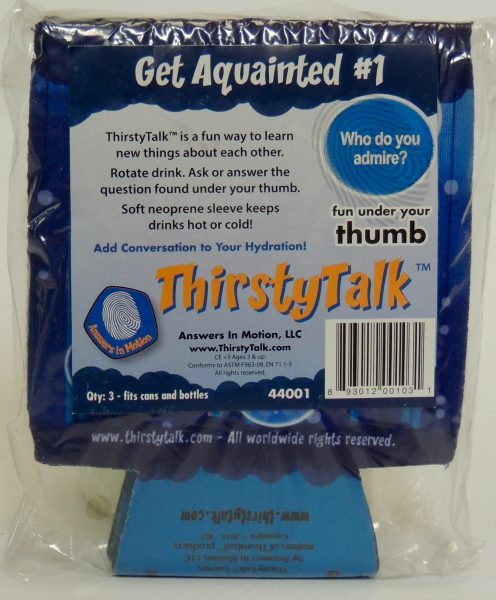 Get Acquainted #1 ThirstyTalk™ game is a fun way to learn new things about each other. 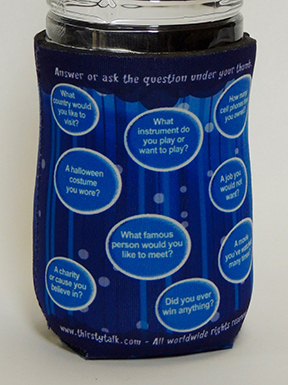 Rotate drink – then Ask or Answer the Question under your Thumb. 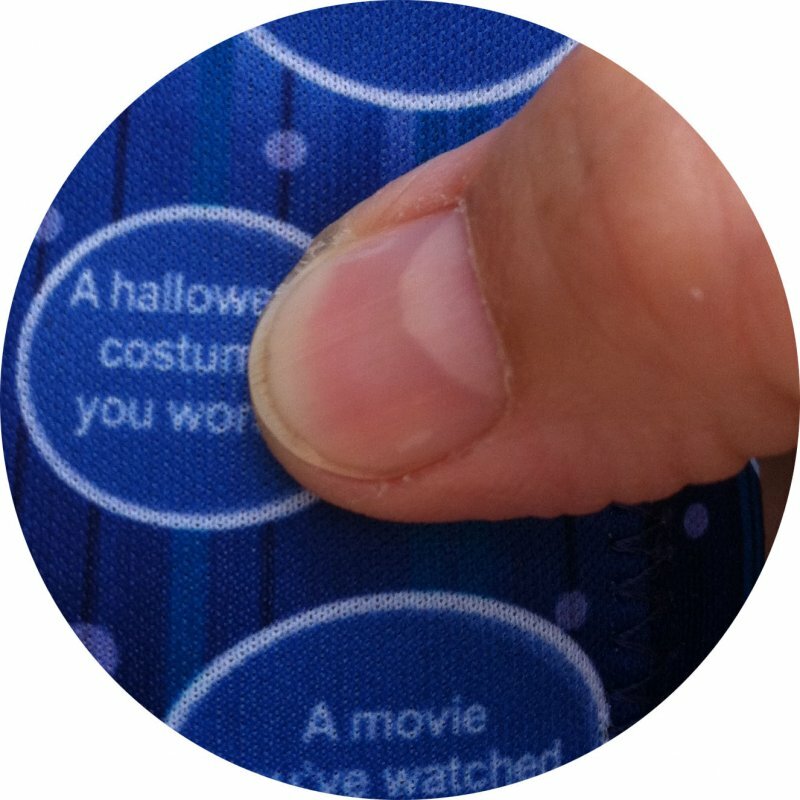 18 questions. 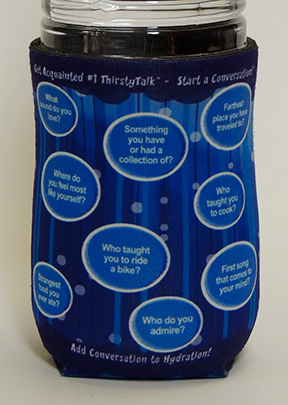 Add conversation to hydration! 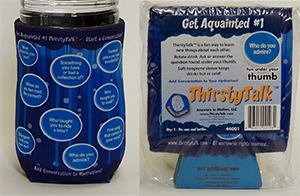 Soft neoprene keeps drinks cold or hot! Fits most round cans and bottles. Feels good! Grab a drink… look under your THUMB ask or answer the question on the panel.